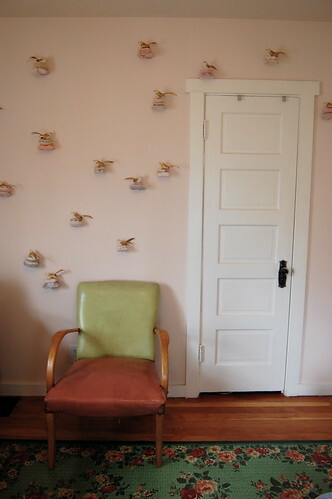 On the north wall of the hobbies room, the faux birds perch on pillows. I love the birds and adore the chair. I love this photo! The photo itself is a work of art. Such an inspiring room to create art in! And such a lovely carpet, too!